Do Chocolate and Wine Truly Make a Great Match? When January arrives, some people are clearing out their pantry and eradicating the last of the Christmas cookies and sweet treats, but others are already looking ahead to the next holiday that wouldn’t be what it is without chocolate: Valentine’s Day. Out of all the holidays, Valentine’s Day is the one near and dear to our hearts because of the sweet things we celebrate, like love, friendship — and, of course, chocolate. 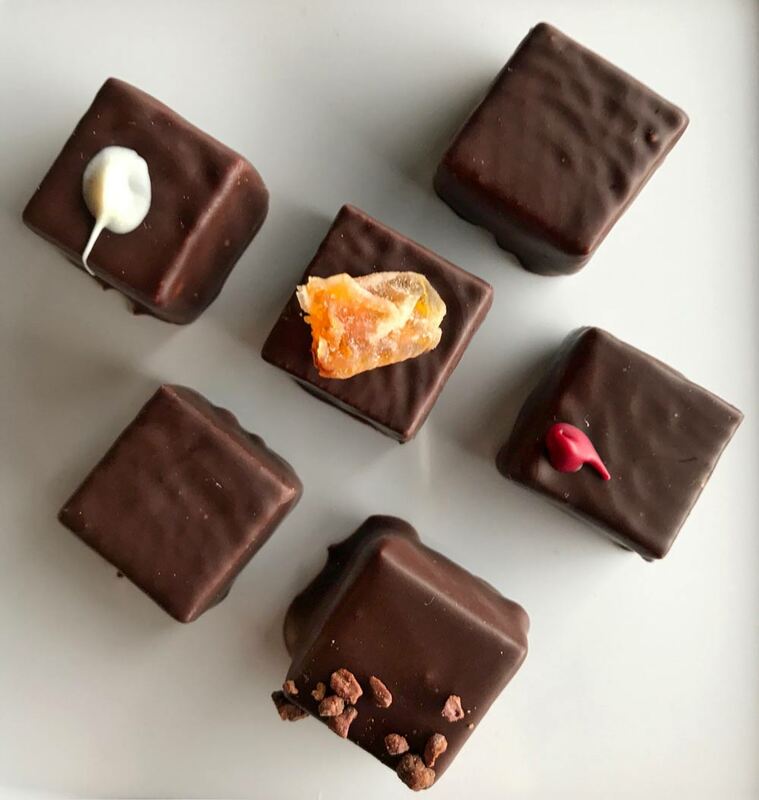 Chocolate and wine are often thought to be a perfect pairing and a match made in foodie heaven, but the paring of the two is more complex than you might think. They both contain antioxidants, which can taste quite bitter on your palate. When you mix the two, the result is an overpowering, bitter flavor combination that leaves one wondering just who said wine and chocolate were so great together. When you know why certain chocolate tastes better with certain wines, it can make your experience better. Milk chocolate contains cream, which adds extra fat, so you’ll find it working better with more wines than dark chocolate. 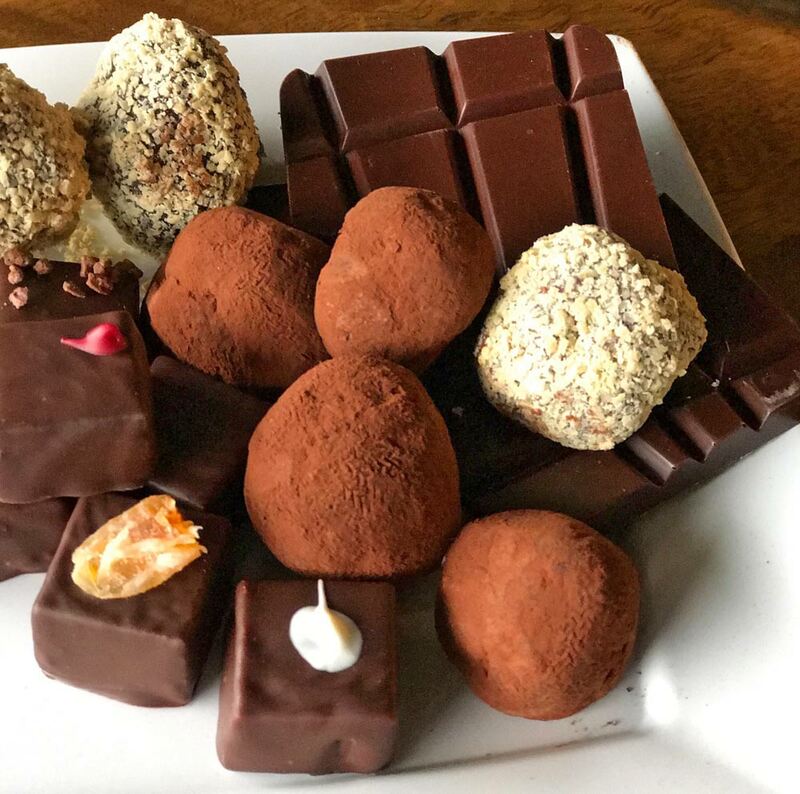 Powell & Jones Chocolates, the first bean-to-bar, fine-chocolate maker on Bainbridge Island, makes a variety of high-quality, craft chocolates using direct-trade, organic cacao with other mostly organic ingredients. 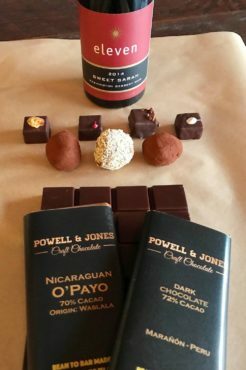 The Powell & Jones handmade milk chocolate truffles are a delicious match for lambrusco, a slightly sparking red wine with a bit of sweetness. Any late-harvest red wine also works well. 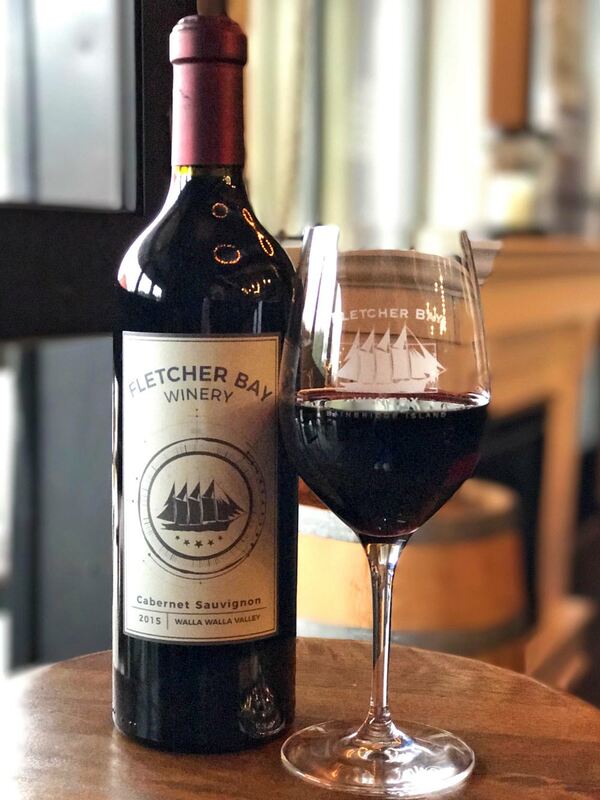 Chocolate cake can be a great pairing with dry red wine, like a Fletcher Bay Winery 2015 Cabernet Sauvignon, because of the addition of starches and fat in the cake. They counteract the bitterness in both the chocolate and the wine. And, when thinking about a classic Valentine’s Day treat, chocolate-dipped strawberries can taste great with a sweet, sparkling rosé. Dark chocolate is often the hardest type of chocolate to pair with wine because it has so little fat. Flavanols (different types of tannins) are found in both wine and chocolate and end up clashing against each other in your mouth, creating a less-than-desirable flavor experience. True dark chocolate has a minimum of 35 percent cocoa solids but can go up to 99 percent, which can taste quite bitter. It’s hard to taste two bitter things together, like dark chocolate and a dry wine such as a high-tannin cabernet sauvignon. Wine with a bit of sweetness, such as a late-harvest zinfandel or a port, is a nice match to the bitterness of dark chocolate. If you really do want to enjoy a glass of dry red wine with dark chocolate, look for red wines with a little residual sugar (RS). The bit of sweetness in the wine takes the edge of bitterness off the dark chocolate. Many mass-produced, value wines have some sugar added, which can mask the lower-quality grapes used in making the wines. Wines like Ménage a Trois can taste great with dark chocolate because of their sugar content. 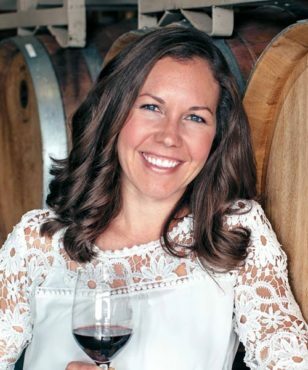 A local wine that tastes excellent with dark chocolate is Bainbridge Island’s Eleven Winery 2014 Sweet Sarah dessert wine. This syrah dessert wine opens with aromas of coffee, cardamom, lavish cherry and silky chocolate. The finish tantalizes with the dark flavors of black raspberry, pomegranate and burnt brown sugar, which is the perfect match for dark chocolate. The polyphenols found in dark chocolate (and in wine) give dark chocolate all the health benefits. Dark chocolate, not the sugary, sweet kind, is packed full of antioxidants, flavanols, vitamins and nutrients. In addition to increasing brain productivity, promoting a healthy heart and protecting the skin from the sun’s harmful rays, dark chocolate, eaten in moderation, has various other health benefits. The bottom line to enjoying the two together: Balance the tastes in the chocolate (sweet, bitter, salty, etc.) with the wine so that the subtle flavors can emerge. I’d love to hear what wine you like to pair with chocolate. Let me know on Facebook or Instagram @thesocialsip.